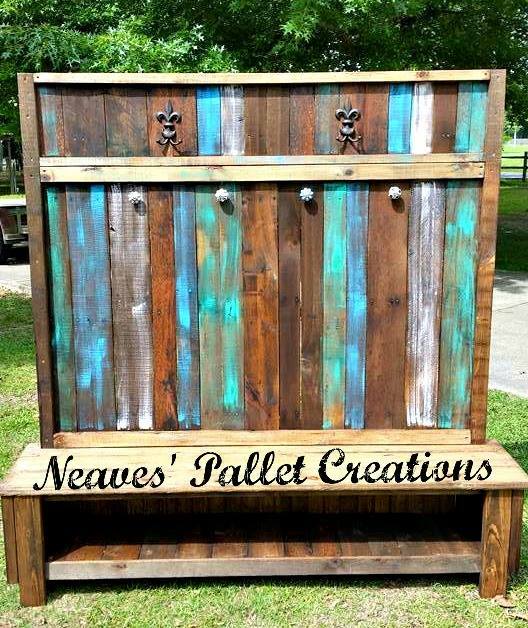 This is a wooden pallets made customized Hall Tree we did for a client with a specific space in mind. 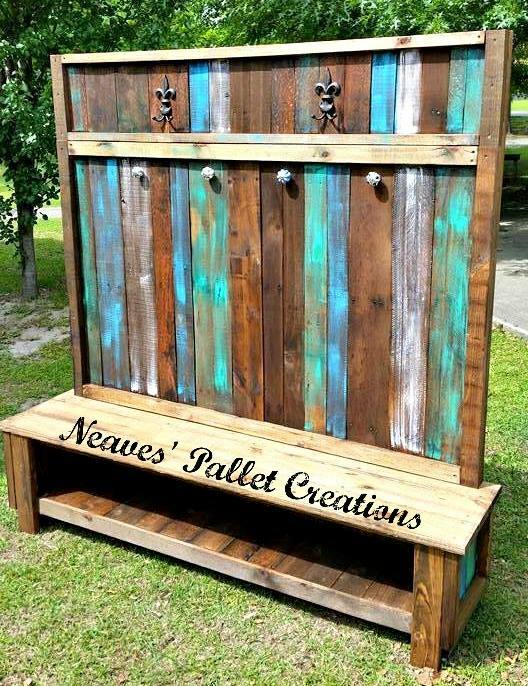 It is 72″ Tall x 72″ Wide x 18″ Deep. It has four hand-painted porcelain knobs and two cast-iron Fleur De Lis double hooks for storing book-bags and coats. The bench is made using deck boards for added strength. The bench has a long cubbie for storing shoes, flip flops and small toys. All in all this is a great organizational tool for their back/mud room. Message us if you would consider allowing us to build a storage closet for you. 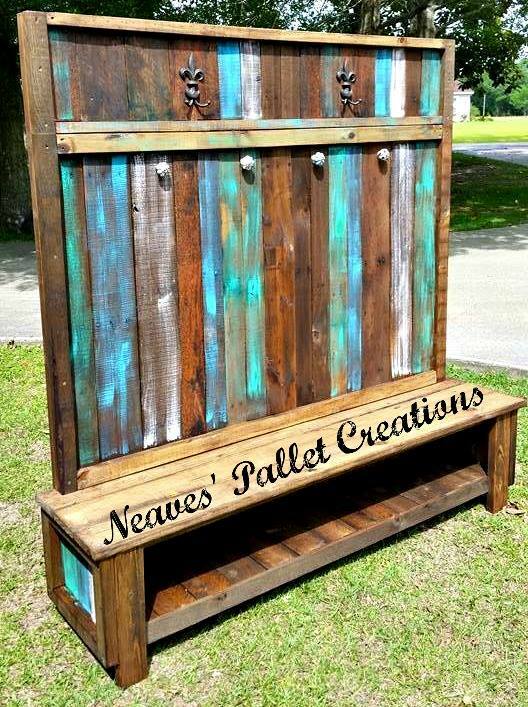 The cost for this piece was $285, painted, stained and 8 hooks.